Sun Damage: The Sun is good for many things but it can also harm our skin because it emits ultraviolet radiation. The sun ultraviolet A (UVA) rays are called the “aging rays”. 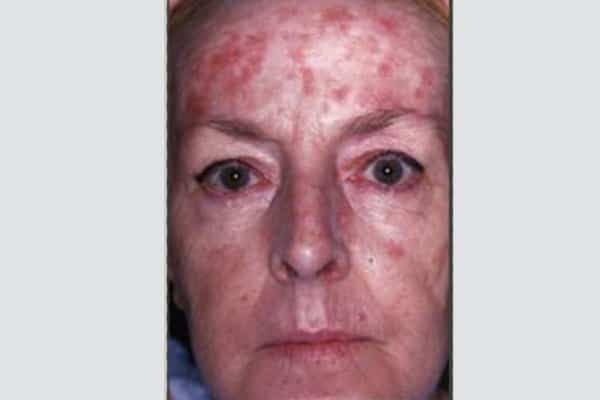 UVA can cause wrinkles, age spots, and tans. The ultraviolet b (UVB) rays are known as “burning” rays because UVB rays cause sunburn. Both type UV rays can cause skin cancer. What happens when I don't protect my skin from the sun? Basal cell carcinoma (BCC) looks like a flesh-colored, pearl-like bump, or pinkish patch of skin. BCC frequently develops in people who have light skin, but it can occur in people with dark skin. With early treatment, this type of cancer can be cured. Left untreated, BCC can cause bleeding and severe damage, which can be disfiguring. Squamous cell carcinoma (SCC) can look like a red scaly patch, raised, firm bump, or a sore that heals and re-opens. People who have light skin are most likely to develop SCC, but it can develop in dark-skinned people, especially those who have scarring. With early detection and proper treatment, SCC has a high cure rate. Left untreated, SCC also can be disfiguring. In rare cases, untreated SCC can spread to other areas of the body and can be deadly. Melanoma may develop in a mole or it may appear as a new, dark spot. Sometimes melanoma contains shades of red, blue or white. When found early, melanoma often can be cured. Left untreated, melanoma can spread to the other areas of the body and can be deadly. Too many sunburns or sunburns that blister increase your risk of developing skin cancer. Avoiding sunburn is important. Exposure to UV rays makes skin tough and leathery. It makes a person’s skin age more quickly than normal. Skin exposed to the sun can develop large freckles, age spots, wrinkles, and scaly growths known as actinic keratosis (AKs). AKs are considered an early stage in the development of skin cancer. For some people, sun exposure causes an allergic reaction. Common signs of a sun allergy are bumps, hives, blisters, and red blotches on the skin. People taking certain medications can develop a rash after being out in the sun. Medications that interact with UV light and can cause this reaction include birth control pills, antibiotics, and medication for treating blood pressure, arthritis, and depression. If you notice a mole differs from one another or a spot on your skin changes, itches or bleeds (even if it is small), immediately make an appointment to see a dermatologist. These changes can be signs of cancer. With early detection and treatment, skin cancer has a high cure rate. 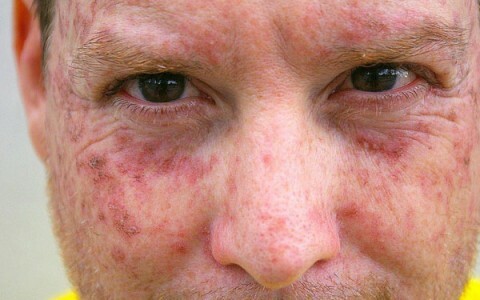 If you dislike the sun damage or the signs of aging that appear on your skin, you also may want to see a dermatologist. A dermatologist can also tell you about the different options to treat or help reduce the signs of skin aging. Generously apply a broad-spectrum water-resistant sunscreenwith a Sun Protection Factor (SPF) 30 or more to all exposed skin. “Broad-spectrum” provides protection from both ultraviolet A (UVA) and ultraviolet B (UVB) rays. Re-apply approximately every two hours, even on cloudy days, and after swimming or sweating. Wear protective clothing, such as long-sleeved shirt, pants, and a wide-brimmed hat and sunglasses, where possible. Seek shadewhen appropriate, remembering that the sun’s rays are strongest between 10 a.m. and 4 p.m. If your shadow is shorter than you are, seek shade. Protect childrenfrom sun exposure by playing in the shade, wearing protective clothing, and applying sunscreen. Get vitamin Dsafely through a healthy diet that may include vitamin supplement. Avoid tanning beds.Ultraviolet light from the sun and tanning beds can cause skin cancer and wrinkling. If you want to look like you’ve been in the sun, consider using a sunless self-tanning product, but continue to use sunscreen with it. Check your birthday suit on your birthday.If you notice anything changing, growing, or bleeding on your skin, see a dermatologist. Skin cancer is very treatable when caught early. ‘’Chemical peel’’ is a term used to describe applying unique concentrations of special chemical substances on the skin which makes it “blister” and eventually peel off. The new layer of skin is usually smoother and less wrinkled than the ‘’old’’ skin. Mesotherapy became one of the established ways in Europe to improve the skin texture, fullness, glow, and radiance by targeting the dermis the source of collagen and the source of youth. Also it is a way to treat localized obesity. Treatment is performed in a dermatologist’s office, which offers the patient a convenient and cost-effective approach with little down time. Dermatologists can recommend rejuvenation procedures for different areas of the body.